Chancellor George Osborne pledged additional funding to Britain’s secret services to protect the state from the heightened terror threat, it has emerged. 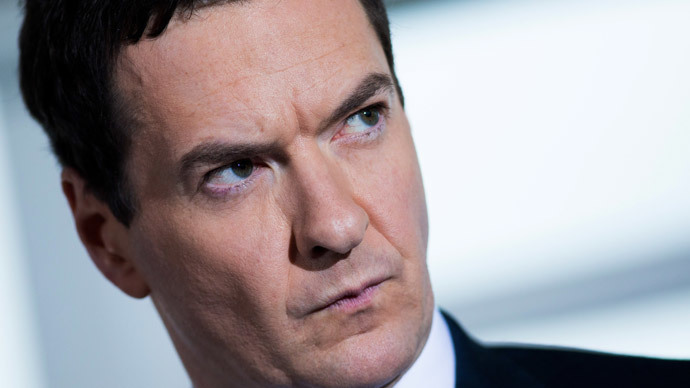 Britain’s intelligence services were given the money “in the last few weeks,” Osborne said on Friday. The revelation comes after the head of MI5, Andrew Parker, called for new powers to fight terror threats in the UK in the wake of the Charlie Hebdo attack in Paris, in which masked gunmen killed 12 people. French police killed the two gunmen Friday afternoon after a two day manhunt ended in a hostage crisis at a printworks warehouse in Dammartin-en-Goele. Parker said the terror attack at Charlie Hebdo is a “terrible reminder” of Islamist extremists’ agenda of harming the West. Speaking on BBC Breakfast, Osborne said the extra funding would be used to monitor “self-starter” terrorists traveling to Syria and Iraq. “In the last few weeks we have put extra money, over a hundred million pounds, into specifically monitoring people who are going to conflicts in Syria and Iraq, these sort of self-starting terrorists who get their ideas off the internet and then go and want to perpetrate horrendous crimes, so we are putting a huge effort in,” he said. The chancellor promised the security services will get “whatever” they need. “We will put the resources in, whatever the security services need, they will get because they do a heroic job on our behalf,” he said. Osborne’s mention of legislation could be a reference to the Communications Data Bill, widely known as the Snooper’s Charter. The controversial legislation was previously blocked by the Liberal Democrats and the Labour Party on the grounds it would infringe the right to privacy. “If we are to do our job, MI5 will continue to need to be able to penetrate their communications as we have always done. That means having the right tools, legal powers and the assistance of companies which hold relevant data. Currently, this picture is patchy,” he said. While Parker recognized privacy concerns, he argued that terrorists can use them to their advantage. The MI5 director general warned on Thursday that a terror strike on the UK was highly likely. “A group of core Al-Qaeda terrorists in Syria is planning mass casualty attacks against the West,” he said. MI5 had stopped three potentially deadly “terrorist plots” against the UK in recent months, he added.